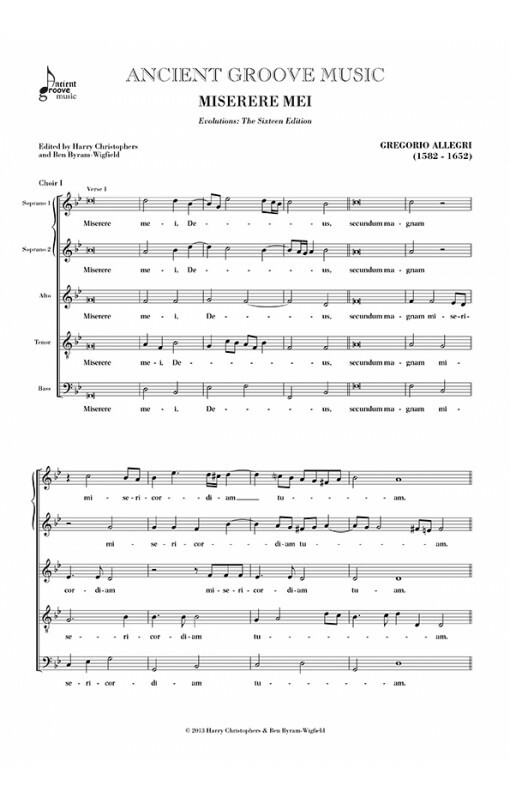 Performing edition created for The Sixteen by Harry Christophers & Ben Byram-Wigfield. 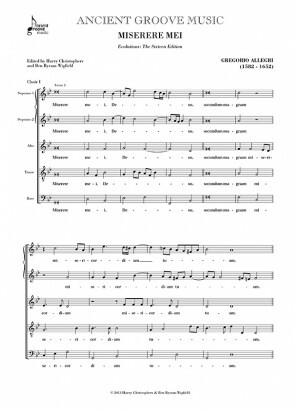 A new performing edition created for The Sixteen by Harry Christophers & Ben Byram-Wigfield, showing the evolution of the work from simple fauxbourdon to the Top C version. The initial verses portray Allegri's original unadorned fauxbordon, then later verses detail the Sistine Chapel embellishments, before the final verses conclude with the ‘Top C’ version, best known today, which was never performed in Rome, but merely a serendipitous scribal error. Detailed information can be found here See the complete range of different editions we produce of this work.